Is There Life after Death? Is Death an Enemy or a Friend? > Is There Life after Death? Is there life after death? Death is inevitable. From the moment we’re born, the clock is ticking. Religions promise a better life in the hereafter, but who really knows what will happen? “This is a wrong question, basically meaningless. One should never jump ahead of oneself: there is every possibility that you will fall on your face. One should ask the basic question, one should begin from the beginning. My suggestion is, ask a more basic question. “For example, you can ask, ‘Is there life after birth?’ That would be more basic because many people are born but very few people have life. Just by being born you are not alive. You exist, certainly, but life is more than mere existence. You are born, but unless you are reborn into your being, you don’t live, you never live. “Birth is necessary, but not enough. “Something more is needed; otherwise one simply vegetates, one simply dies. Of course, it is a very gradual death – and you are so unaware that you never know it, you never become aware of it. From birth to death, it is a long progression of death. It is very rare to come across an alive person. A Buddha, a Jesus, a Kabir is alive. And this is the miracle: that those who are alive never ask the question ‘Is there life after death?’ They know it. They know what life is, and in that knowing, death has disappeared. Once you know what life is, death exists not. Death exists only because you don’t know what life is, because you are as yet unaware of life, its deathlessness. You have not touched life, hence the fear of death exists. Once you have known what life is, in that very moment death has become nonexistential. “Bring light into a dark room, and the darkness disappears; know life, and death disappears. A person who is really alive simply laughs at the very possibility of death. Death is impossible; death cannot exist in the very nature of things: that which is will remain, has remained always. That which is cannot disappear. But you have to come to this experience existentially, not theoretically. 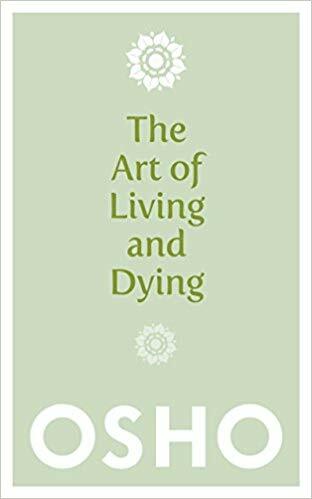 “Ordinarily the question ‘What happens after death?’ remains in the mind, whether you ask it or not, because nothing has happened before death. Life has not happened even after birth, so how can you believe and trust that life is going to happen after death? It has not happened after birth, how can it happen after death? “One who knows life knows that death is another birth and nothing else. Death is another birth; a new door opens. Death is the other side of the same door you call birth: from one side the door is known as death, from the other side the door is known as birth. Death brings another birth, another beginning, another journey. “But this will be just speculation to you. It will not mean much unless you know what life is. That’s why I say to ask the right question. A wrong question cannot be answered, or it can be answered only in a wrong way. A wrong question presupposes a wrong answer. I am here to help you to know something, not to help you to become great speculators, thinkers. Experience is the goal, not philosophizing – and only experience solves the riddle. “You are born, but not yet really born. A rebirth is needed; you have to be twice-born. The first birth is only the physical birth; the second birth is the real birth, the spiritual birth. You have to come to know yourself, who you are. You have to ask this question: Who am I? And while life is there, why not inquire into life itself? Why bother about death? When it comes, you can face it and you can know it. Don’t miss this opportunity of knowing life while life surrounds you. “If you have known life, you will have certainly known death – and then death is not the enemy, death is the friend.